Claret Wonderland flower is 7cm across at the widest parts. 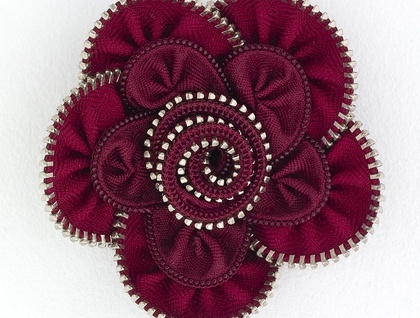 The centre is made from a twirl of different claret zips. The metal teeth give a jewel-like interest to the centre. and outer petals,everything is carefully hand stitched together.